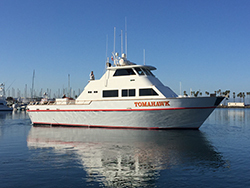 Captain Jeff Spafford called in this evening with an audio wrap-up from the Tomahawk out of Fisherman’s Landing in San Diego, CA. We had one drift all day long. 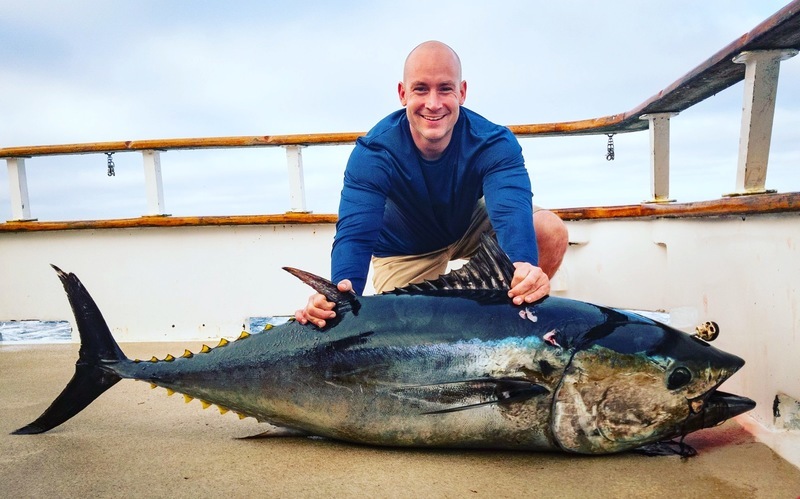 We ended up with limits of Bluefin Tuna. 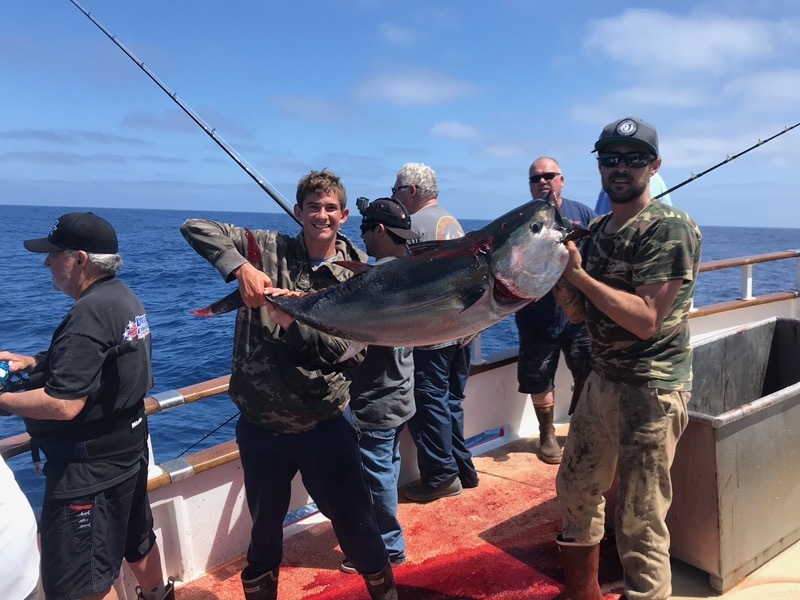 Our 28 anglers ended up with 56 Bluefin Tuna. The fish were mainly 50 t0 70 pounds with a few between 80 and 85 pounds. They were biting flurocarbon with 2 or 3 ought hooks. The Tomahawk is ONLINE at Fisherman’s Landing in San Diego, CA. You can call (619) 221-8500 or BOOK ONLINE.